A liver pâté is topped with strawberry dust, a shrimp tartare with carrots, and one of the starters is a scoop of “Parmigiano ice cream” studded with black truffle slices instead of jimmies. Based on the efforts of Italian modernist mentors, Enoteca features an “open ravioli” in which the fresh pasta sheets burst with lobster meat swimming in a champagne foam strongly informed with vanilla. The pigeon, ultra-rare as it should be, is set off with a layer of foie gras. But best of all on a varied tasting menu of “surprises”—whose best surprise of all is that it comes in at only B1950—is a most traditional baba cake soaked not in coarse rum but rather with the subtly fragrant sweetness of Picolit wine, that rare find from Friuli. Of course, Enoteca will be happy to serve up more traditional grilled vegetable antipasti, cheeses, and vitello tonnato. But the place strives not to be more Italian-than-thou, but rather more original. The Thai staff is unusually attentive, and, of course, the collection of Barolo is exceptional too. Not to be outdone, Enoteca marinates its own lemons. In fact, it even makes its own chocolate truffles and mango gum drops by hand. 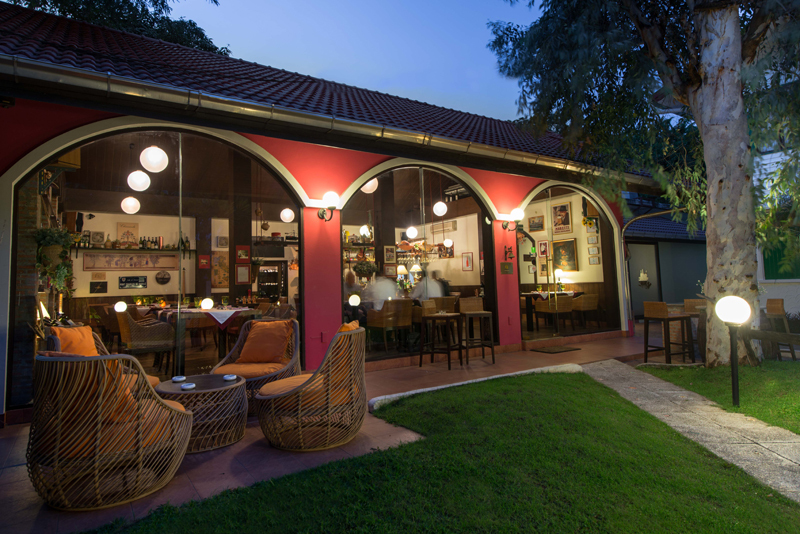 Enoteca is one Bangkok restaurant that could surely be resting on its laurels, or its bay leafs, or its oregano. But there’s no sign of complacency here and no letting up in the restaurant’s on-going exploration of anything that can fit within the flavour palate of every diner’s favourite country. 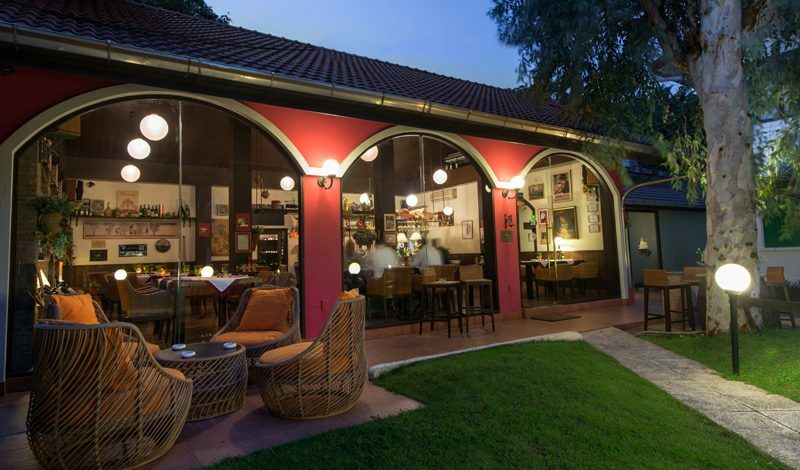 Occupying a quaint—dare we say romantic—old home, quite admirably embodying the shape and style of its namesake, the restaurant fills up rather quickly. Reservations are recommended, particularly on weekends. And this is one seat you surely won’t want to miss.